Liverpool are reportedly set to receive good news on the injury front ahead of their showdown with Chelsea at Anfield on Sunday evening. 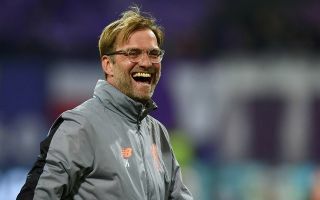 Jurgen Klopp’s side currently sit top of the Premier League table with just five games to be played, as they have a two-point lead over title rivals Manchester City, who have a game in hand. In turn, they will be desperate to win all of their remaining games to put the pressure on Pep Guardiola’s men to respond and keep up the pace in order to defend their crown. Liverpool arguably face their toughest remaining test this weekend when Chelsea visit Anfield, but Klopp will be buoyed as it’s suggested that both Sadio Mane and Georginio Wijnaldum will be passed fit to feature after suffering minor injuries, as per the club’s official site. It’s added that Mane picked up a thumb injury in training while his Dutch teammate has a back issue, but they are expected to be available on Sunday to give the Reds options and depth as they also have the second leg of their Champions League quarter-final tie with Porto to consider next week. Mane will be a major boost for Liverpool in particular given that the 27-year-old has bagged 20 goals and four assists in 41 appearances so far this season, and so they can’t really afford to be without him at such a crucial stage of the campaign. As for Wijnaldum though, he’s made 38 appearances this year having established himself as a pivotal figure in Klopp’s plans and so the German tactician will undoubtedly be delighted if he has them both at his disposal for such an important encounter.